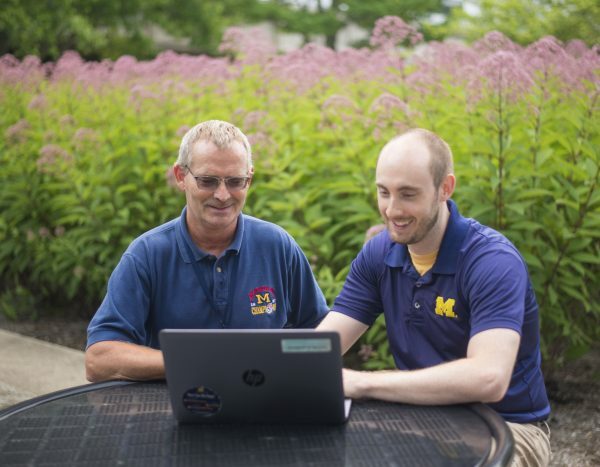 Each year, HITS receives more than 265,000 service tickets from the Michigan Medicine community requesting help with password resets, new device orders, video conferencing, software installations, and much more. Until recently, tickets were collected in two systems, making it difficult for HITS to obtain a holistic view of the types of requests coming in and to use that data, ultimately, to improve the customer experience. In August 2017, HITS introduced a common platform called ServiceNow, which enables customers to submit requests for help, browse a catalog of service offerings, and track the status of their requests in detail. The new tool also gives HITS the ability to improve intake, tracking, communication, and follow-up across all types of work. The HITS Device Operations team recently used data from ServiceNow to uncover and address areas for improvement. Over a three-month period, Gramling’s team decreased the number of incidents reopened for incomplete or incorrect work by 22 percent and reduced the average time to resolve an incident by nearly three days. Zempel said this transformation couldn’t have occurred without strong engagement from HITS staff. Heather is a brand/product analyst lead within the Michigan Medicine Office of the CIO. You can contact her at hengeshl@umich.edu.